Eternal Youth Clinic uses updated aesthetic technologies and sees returning and loyal patients in our interview with Dr. Paul Cronin. A one time family doctor who branched out into aesthetic medicine over sixteen years ago. He has extensive experience in injectables, radio-frequency skin tightening, micro needling and laser resurfacing. He opened Eternal Youth clinic over ten years ago and offers Fraxel, Thermage, Ulthera, INTRAcel, ULTRAcel and VASER liposelection. Mind telling us a background about your clinic? My clinic is a small and very personal run affair. We used to have a large clinic in Alderley Edge with several staff, but now we work from purpose built premises in our garden. My wife is in charge really and makes sure I know who is coming next and what for. we have a varied patient base from quite long distances in some cases. Our patients appreciate the discretion and the very personal services we offer. What are your insights about your staff? Enlighten us with the technologies you're using for your practice. We offer Fraxel Restore at EYC and have done for over ten years. I am always impressed that it is still doing a great job. So many pieces of kit cost so much money and become redundant when a newer/better one comes out. Fractal has definitely been my best investment. We have recently purchased ULTRAcel which is an excellent device offering three modalities of skin tightening and rejuvenation in a single platform. What are your marketing strategies for your clinic? I am not sure I am very good at this. I have spent a ton of money over the years on Cheshire Life magazine, radio ads and stacks of other stuff and I still think most of my new patients arrive through word of mouth. I really think you have to care about your patients and do the best you can and then over the years the list will grow. Probably slower than you would like but patients who come from personal referrals are usually patients for life. Adverts tend to produce more ‘tire kickers’ who come to suss you out. Personal referrals come with money in their pocket. They trust you already as much as they trust the friend who referred them. Which treatments and procedures are popular in your clinic? Botox and fillers always provide the ‘bread and butter’ but I love the results that the Fraxel and ULTRAcel can provide. They obviously cost more money but some of the before and afters are amazing. I would like to promote my cosmetics more as some of my colleagues seem to do better with products than I do. Maybe I’m just not ‘pushy’ enough? Any stories about your career in cosmetic medicine? My favourite bit is the fact that some of my patients have been coming to see me for 15 plus years. These patients see me three or four times a year and trust me implicitly. Knowing that if I recommend something new its not because I need the money and is because I think it will help them look better. It is this personal relationship which is the corner stone of my practice. Recently I had a consultation with one of my longer standing patients and just for fun we looked back at her original photos from over ten years before. We both agreed that the before photos today looked better than the after photos from ten years ago. That is priceless. Share what you would like to tell fellow physicians. Don’t worry so much about kit. You can waste a lot of money on devices which eventually sit lost and lonely in the corner of the room. There are however some technologies which do stand the test of time. Care deeply about your result. Make sure the patient knows you care. The actual outcome of the treatment is really less important than whether the patient thinks you tried hard and really wanted to do your best. This may sound off but I do believe it is true. Be particularly vigilant for patient expectations. It is always a whole load cheaper to ‘not take the money’ and ‘not do the treatment’ than pay for the litigation…. Get to know your patients. You don’t need thousands of patients to make a very good living in this business. A few loyal repeat customers will be a lot less work for the same money. Don’t work too hard. Life is for fun too. 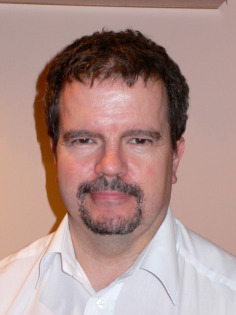 Dr Paul Cronin was once a local GP and has been in the medical profession since 1985. He has specialized in Cosmetic Medicine for many years and last year alone he performed over 1500 treatments to brighten up the lives and faces of the ladies and gentlemen of Cheshire including some very “well known” faces! Now Dr Cronin has relocated Eternal Youth Clinic onto the outskirts of Congleton in Cheshire. 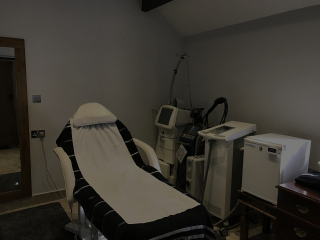 Nestled into the hills overlooking the Derbyshire peaks, bringing the tried and trusted benefits of muscle relaxing treatments and fillers now combined with several new cutting edge treatments.